The metal marker above marks the grave of a member of the Improved Order of Redmen, which claims its beginnings with the patriots who were in the Sons of Liberty during the American Revolution. The society models itself after the Iroquois Confederacy councils. 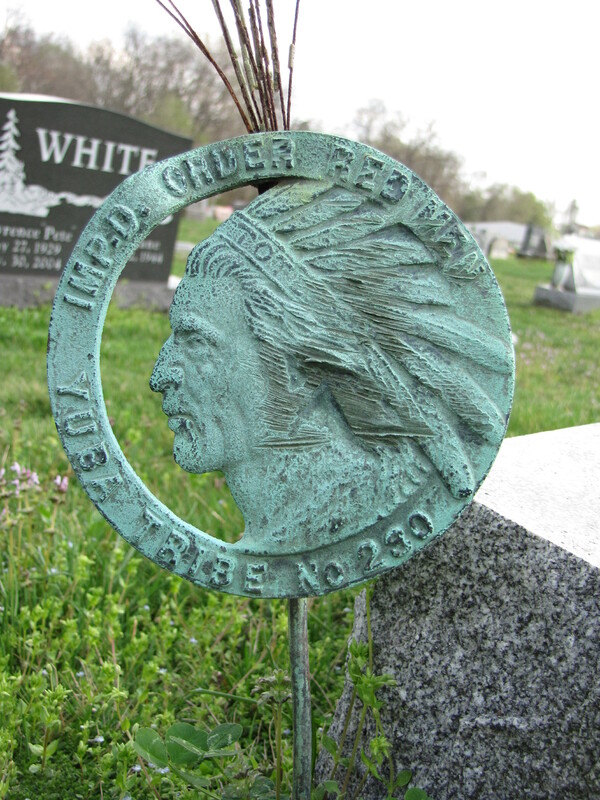 In fact, some of the metal markers display images of Native Americans because the society based their organization on the rites and rituals of the Native Americans. Written on the headband of the feathered headress are the initials T.O.T.E which stands for Totem of Eagles. According to their Website, the IORM “promotes patriotism and the American Way of Life, provides social activities for the members, and supports various charitable programs.” The different clubs or chapters are divided into “tribes”.